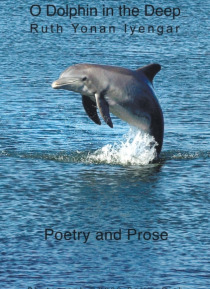 O Dolphin in the Deep focuses on the natural world, peace and social justice issues, family life and community. Youll read copies of the authors articles published in Florida Wildlife magazine and in local publications in Sanibel, Florida and Evanston, Illinois. Several of Iyengars writings were selected for public Reads on Sanibel Island. Some of her poems became lyrics to be enjoyed by children … of all ages. The score of An Alligators a Creature to Fear, is also included.You will laugh with the author in On Taking Ones Husband to the Doctor, and grieve with her in Silent Heroes The Living Wounded. Youll enjoy the authors poetry about her grandchildren in touching situations. Her excerpt , Dust in Your Shoes, from the manuscript in progress, OurLittle Assyrian Girl, is previewed.